Based on our masterpiece N.S.PRO WV, which was designed exclusively for wedges and thoroughly refined for operational ease, as well as feedback from PGA tour players, Nippon Shaft crafted a new steel shaft for wedges that offers first class short game performance. 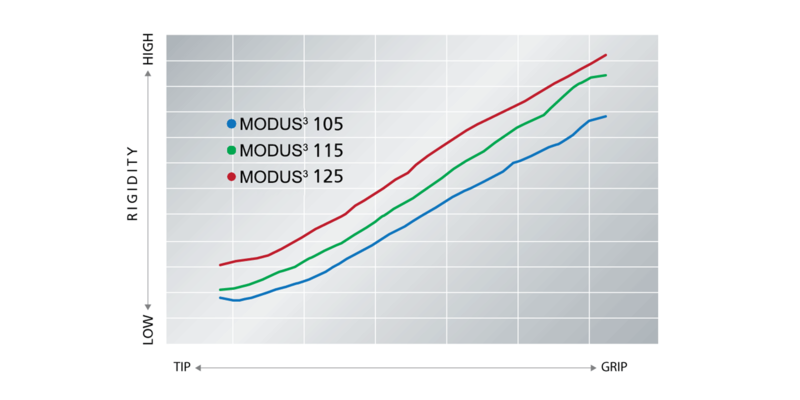 N.S.PRO’s proprietary wall thickness adjustment technology contributes to high-level stability (in terms of spin and direction) while MHT (Multi Heat Treatment) technology, our cutting-edge heat treatment for MODUS³ series shafts, delivers the comfortable feeling you expect of short game gear. Improved operability via “feeling” control Through MHT technology, we can freely control the feeling of every section of the shaft. This empowered us to painstakingly enhance performance and achieve the ideal feeling for confident wedge shots. Closer-to-pin shots through high stability These shafts are characterized by low trajectory, less variable spin and excellent directional stability. Players can enjoy more confident approaches with optimized performance that closely matches their imagined trajectory. The right match for every iron MODUS³ Wedge is available in three weights that offer three different characteristics, enabling players to freely choose the shaft that best matches their style and iron.